The intersection of Route 52, Wawaset Road, and Unionville-Lenape Road prior to construction. PennDOT expects to close the entire intersection at some point this summer, as it installs a roundabout. 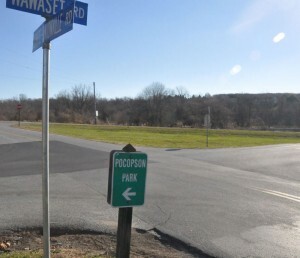 POCOPSON — The second phase of construction of the planned roundabout will kick off on April 16, with the closing of Unionville-Lenape Road at Route 52, according to the Pennsylvania Department of Transportation (PennDOT). Wawaset Road — and direct access to Chester County Prison — has been closed since the first phase of construction started in January. The roadway is expected to remain closed until the completion of the project, expected this fall. Motorists are advised to use Locust Grove Road as a detour. PennDOT began construction in January to build the roundabout — its first built by PennDOT in this part state — to improve travel and safety at the intersection of Route 52 (Lenape Road), Wawaset Road and Lenape Unionville Road. The closure of Lenape Unionville Road will be in effect through the end of September. During this operation, Lenape Unionville Road through traffic will be detoured over Route 52 (Lenape Road) and Locust Grove Road. Motorists are advised to allow extra time when traveling through the area. Route 52 is expected to be closed later this summer as the project enters its final phase — with most traffic being redirected to Route 926. The roundabout, which was designed by Pocopson Township, will be the first built by PennDOT in southeastern Pennsylvania. There are currently five other roundabouts in the Philadelphia region that were constructed by a municipality or private developers. Road-Con Inc. of West Chester, is the general contractor on the $2,151,848.35 project, which is financed with 100 percent federal funds. The project is scheduled to finish in September 2014. You can follow PennDOT on Twitter at www.twitter.com/511PAPhilly and Facebook at www.facebook.com/PennsylvaniaDepartmentofTransportation. 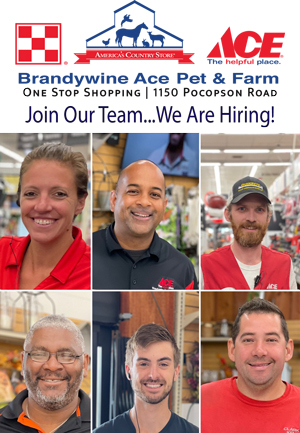 For more information, visit www.dot.state.pa.us/district6 or call 610-205-6700.